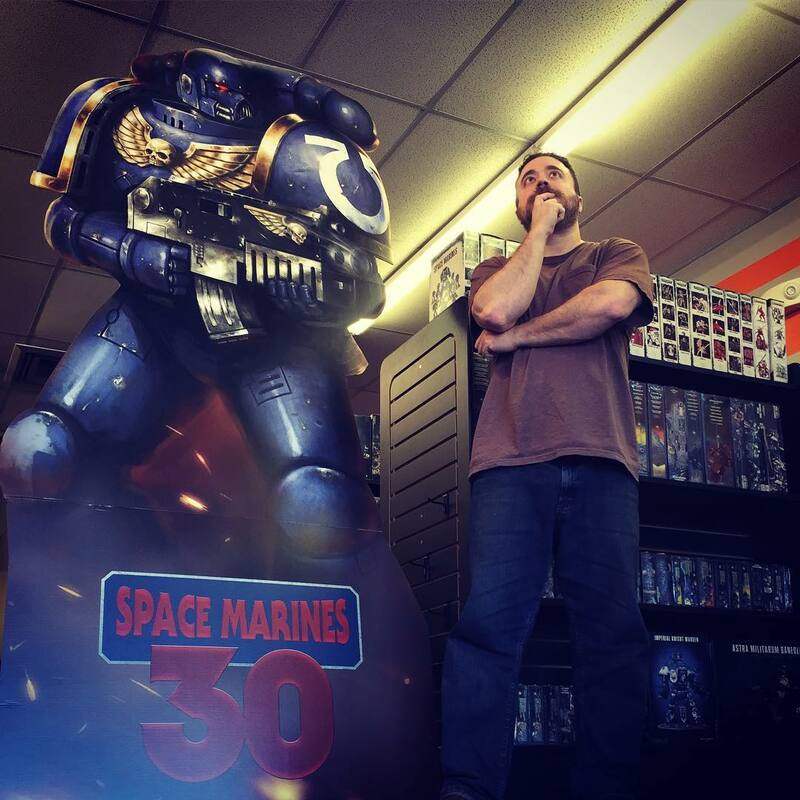 This year, we really wanted to emphasize the hobby aspect of miniature games. We've created an ambitious challenge that should appeal to all gamers who want to get a completed army/squad/team on the table in 2019. We want to motivate all miniature players to get painting within a community framework. We use the word army in the event information, but it could be a Bolt Action platoon, Saga Warband, Blood Bowl Team, Guild Ball Team, X-Wing Squadron, or Wild West Posse. You can even participate with Miniature Style board games like Blackstone Fortress, Descent, or Mansions of Madness. -Complete an army by June! -Every miniature gamer can participate as long as Mishap Games can order the items. Sorry Kingdom Death players. -There are two divisions. Army and Grand Army. Army is for smaller games like Infinity, Kill Team, Company of Iron and so forth. Grand Army is for full size armies from games like Warhammer 40k, Age of Sigmar, Warmachine/Hordes, Bolt Action, or Saga. -Grand Army participants will build an army from January 1st through June 30th. -Army participants will build an army from January 1st - March 31st. We will have a second run of Army participants from April 1st - Jun 30th. Players can participate in one or both runs. -No multiple entries (except for players doing an Army entry for each run). Really concentrate on making your army special. -Each participant will write out a rough monthly pledge schedule for their army and keep it at the store. -An example monthly pledge would be "In January, I will paint a box of Skitarii and a Onager Dunecrawler." Set a rate you can accomplish. -Make your pledge as specific as you want or as generic as you want. -Specific: "In March, I will paint the Leman Russ Demolisher named 'Avenger of Tallarn' and a squad of three Sentinals." -Generic: "In March, I will paint 4 boxes of Astra Militarum." -Grand Army participants should be aiming for 1-3 boxes a month. -Army participants should be aiming for 5 or so figures a month. -Pledges for the Grand Army and first Army run participants are due during the first week of January. Pledges for the second Army run are due the first week of April. -Make your pledges something you are sure you can accomplish and then try to exceed them. -Each participant must take a photo of their completed monthly pledge and post in the Mini Games - Misadventurers Guild Facebook group by the end of the month or the pledge is failed. -We'd also like any sort of blog style post to accompany the photo. Information about the unit, or the painting process. Share with the community! -Each Grand Army participant gets one mulligan. If they fail to complete a monthly pledge, it rolls to the next month. Be careful, you only get one! -Army participants also get one monthly mulligan if they plan on participating in both runs. -No mulligans can be used in January! If you don't complete January, then you are out of the challenge. -Each participant must create a small Army Champion or display entry to be added to an amazing communal display. -These Army Champions/display entries will be a permanent part of a display at the store and will not be returned. -Army Champions or Display entries must be based and must be on a 50mm or smaller base. -A suitable entry could be a figure from the army, an objective marker, or something else that really conveys the flavor of your army entry. -For example, I am creating a Tallarn tank army. I plan on taking a spare hatch and figure and creating a mini diorama of a Tank Commander in a hatch. -Paint the base rim black. No lettering, we will be adding your name, army name, and awards onto the communal display portion. -Display Entries are due March 31st for Grand Army and first run Army participants. Display Entries are due June 30th for second run Army participants. -Every completed pledge earns you store credit! -You will receive 25% of the value of the boxes used in your monthly pledge in store credit as long as the pledge was completed on time. -Store credit is only received if the boxes were purchased at Mishap Games between Dec 1st 2018 and June 30th 2019. -You can use miniatures purchased anywhere, but store credit is only granted for items purchased at Mishap Games in the time window. -You can partially pledge combo boxes like Start Collecting! and Battleforces. These combo boxes will be split into their sub boxes and counted as evenly as possible. So if an $85 Start Collecting! has three sub boxes inside it, these boxes would count as $30, $30 and $25 for purposes of earning 25% in store credit. -The first Judging Event is March 31st. The final event is June 30th. -Players should plan on attending but attendance is not required. You may drop off your army at the store if you like, if you can't attend. -We will be awarding prizes for all sorts of secret things. -Army Champions/display entries will be collected at both events and also compete for prizes.